BJP chief Amit Shah ripped into the Congress for its criticism of the government's economic policies as he made his debut speech in parliament on Monday. 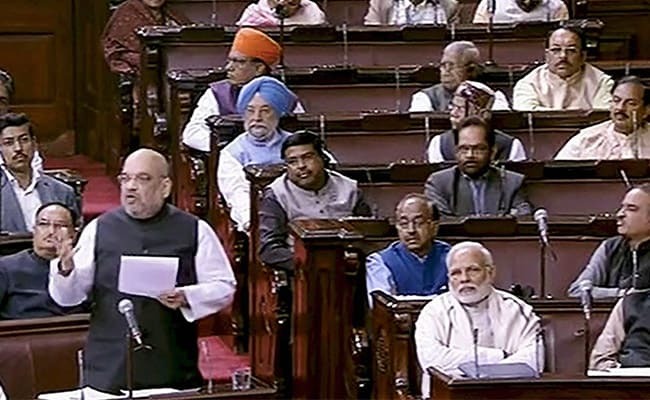 As the first speaker in a discussion in the Rajya Sabha, Mr Shah spoke for over an hour, telling those from the opposition who interrupted his speech, "well, you will have to listen to me for the next six years." Prime Minister Narendra Modi was present in the Rajya Sabha and sat next to Mr Shah as the BJP chief listed at length the government's achievements and what he called its "historic work" in its almost four years in power, contrasting that with the Congress's governments, which he said had suffered from "acute policy paralysis." Mr Shah, who was elected to the Rajya Sabha a few months ago, was initiating the discussion in the house on the motion of thanks on the President's address to parliament. 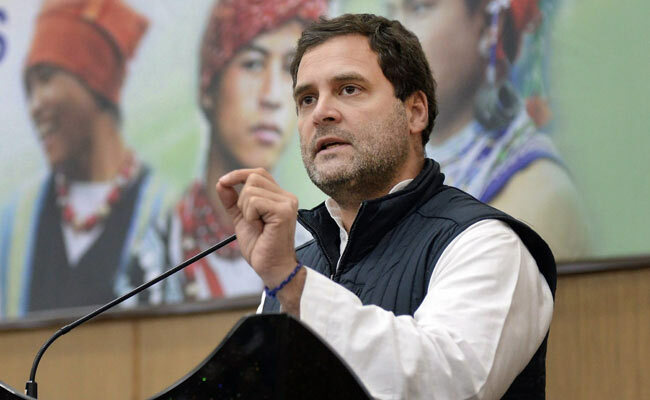 The BJP chief attacked the Congress over its chief Rahul Gandhi's mockery of the Goods and Services Tax (GST) as the "Gabbar Singh Tax" and also former finance minister P Chidambaram's recent comment on jobs. 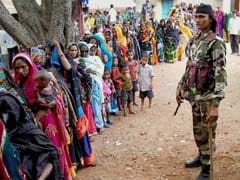 "Chidambaram compared pakoda-selling with begging. Those selling pakodas are self-employed. Can you compare them with beggars?" he said, pointing out that a "chaiwala's (tea-seller's) son has become the Prime Minister today." Mr Chidambaram had made a dig at PM Modi, who said in a TV interview that a person selling pakodas is employed, rejecting criticism that his government has failed to create jobs. "Yes, there is unemployment problem in this country. I am not denying it. But if there is employment even after you (Congress) have ruled the country for 55 years, then I want to ask who is responsible for it? We have been working for only six years, seven years, eight years, we got an opportunity to run this country for eight years. Such a scary problem (unemployment) didn't happen in just eight years," said Mr Shah. On Rahul Gandhi dubbing GST as the "Gabbar Singh Tax," Amit Shah said, "Is this (GST) dacoity? How much do those who have named this as Gabbar Singh Tax understand," and also asserting, "GST is the biggest reform and it was possible under the strong leadership of PM Narendra Modi." He appealed to all parties to assist the government in making the implementation of the new national tax a success, stating, "there are lots of other places to do politics."